Aastha & Sanskar: Ramdev's apparel brands a threat for Adidas, Puma? Baba Ramdev: Desi 'WhatsApp' now; apparel, swadeshi food chain next? Baba Ramdev-led Patanjali Ayurved on Monday forayed into the fast-growing branded apparel segment through its brand 'Paridhan' and expects a sale of around Rs 10 billion next fiscal. The Haridwar-based firm plans to open around 100 outlets of Paridhan by the end of this fiscal and have a network of around 500 stores by March 2020, mostly on franchise model. "This year, we would have a network of 100 stores ranging between 500-2,500 sq feet. 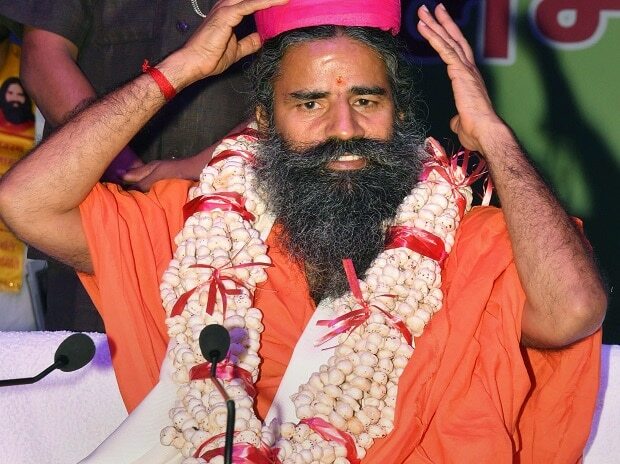 We are aiming a turnover of around Rs 10 billion in the next fiscal," said Baba Ramdev. He further added:"It would also be available online by next year. We are working on it." While Sanskar would be a range of menswear, Aastha is a women's brand and Livfit would have a range of sportswear and Yoga dresses. "Our target is to compete with multinational companies in this field such as Adidas, Puma," he said adding the Paridhan range would be around 30-40 per cent cheaper and would target ordinary people. Besides, Paridhan would have a range of artificial jewellery and wedding clothes which would be at least 40 per cent cheaper than rivals, he claimed. Range of Patanjali jeans would start from Rs 500, shirt (Rs 500-1,700). Paridhan would have around 1,100 options along with 3,500 SKUs of menswear, womenswear, kidswear, denim and accessories. Patanjali, which had recorded multi-fold growth in recent years, witnessed a marginal growth only last fiscal hit by the implementation of GST, finishing at around Rs 120 billion. In 2016-17, Patanjali clocked a turnover of Rs 105.61 billion, registering 111 per cent growth.